Can measure leakage currents of 1 mA, which is useful for checking the insulation of low-voltage circuits and electrical components. 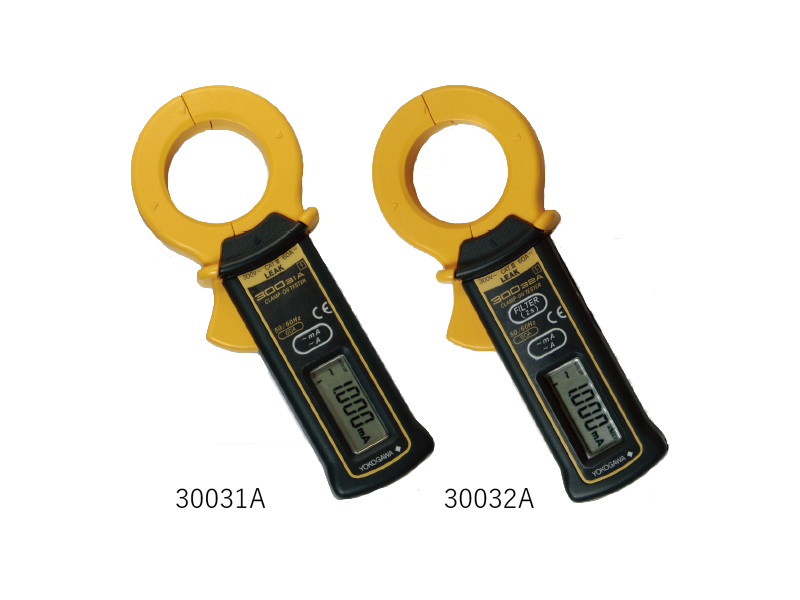 Can measure a broad range of currents from leakage currents (at a resolution of 0.001 mA) to load currents up to 60 A. Typical influence (on the current value of an adjacent cable) from an external magnetic field is 0.0005%. The clamp lever is lengthened by 30%, enabling smooth opening/closing of the clamp even for thick cables of 40mm in diameter.